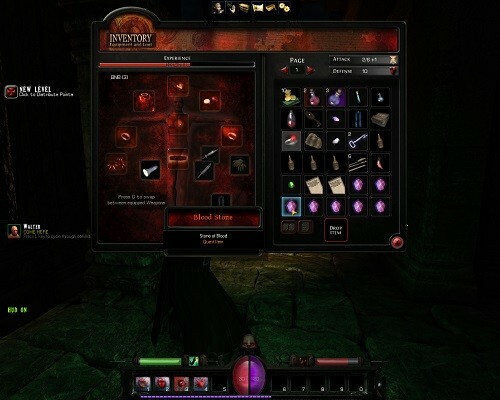 BloodLust Shadowhunter mixes vampires, dungeon crawling and loot into a single experience. Set in a dark world of fantasy and evil where the coven of ShadowHunters find themselves outnumbered in a city that is under siege by the Emperor vampire lord. Customisation in BloodLust Shadowhunter is high from the get go with randomised stats, visuals and several choices that dictate your characters strengths and weaknesses. Beyond the dark fantasy names though players will find them broadly falling into the core archetypes of warrior, mage and thief. 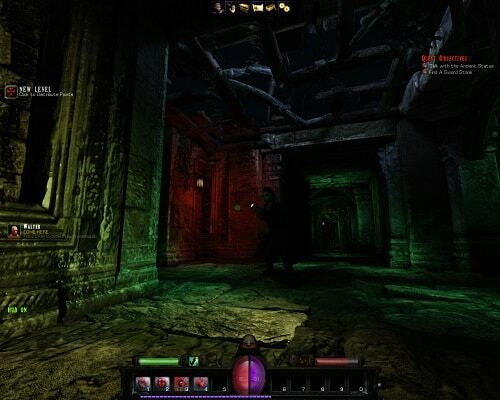 Played as an over the shoulder game BloodLust Shadowhunter follows the action RPG formula closely with talents, inventory, quests and loot drops forming the basis of the world that awaits you. Once beyond the tutorial you’ll get to explore the more dynamic elements of the game world which ties into the non linear elements of the game changing the quests and locations based on dialogue choices. The core locations of the game have wonderful design to them while the randomised dungeons can feel more bare depending on what the random engine decides to spit out. Secrets are generally hidden behind every corner regardless though and encourages you to constantly call on your vampire sight. The most interesting core mechanic of the game is the growing of your own personal bloodline by biting those that you encounter. Similarly players can join other clans that appear within the game world, rising through the ranks to obtain new skills or to backstab the clan from the inside. Regardless of the elements you choose to explore one thing in BloodLust Shadowhunter will stay consistent which is the hunt for loot to improve your vampire deadliness. BloodLust Shadowhunter has a lot of interesting designs and mechanics to explore although its edges are rough, if you’re the sort of player that can look beyond such issues you’ll be rewarded with an intriguing game and your very own vampire clan. Play as your own vampire and build your clan. Countless secrets to uncover in the random levels. Use your unique vampire abilities to defeat foes. Choice based quests and exploration. Randomised loot to upgrade your character.